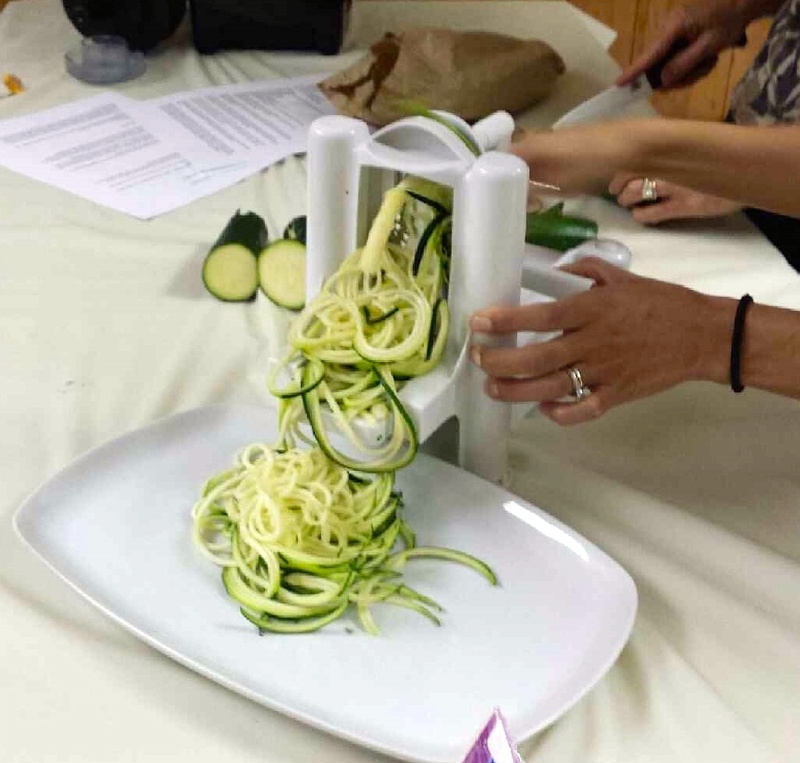 ZUCCHINI PASTA: KEEPING IT RAW! Remove water from heat and let cool a few minutes. Add prepared zucchini to warm. Drain thoroughly before putting in a serving dish. Toss with desired amount of pesto and top with warmed veggie mix from dehydrator. (You can also use your pasta in this great recipe: Raw Pad Thai). This entry was posted on May 8, 2015 by thrivecoach12 in Other-Main Dish and tagged Balance Blood Sugar Level, Curb Overeating Recipe, Dehydrated veggies, Dietary Fiber, Digestion Aid Recipe, Fairview Heights Nutrition, Pam Faulkner Recipes, Raw Zucchini Pasta, Recipe to maintain hormones, Thrive Coach 12 Recipes.